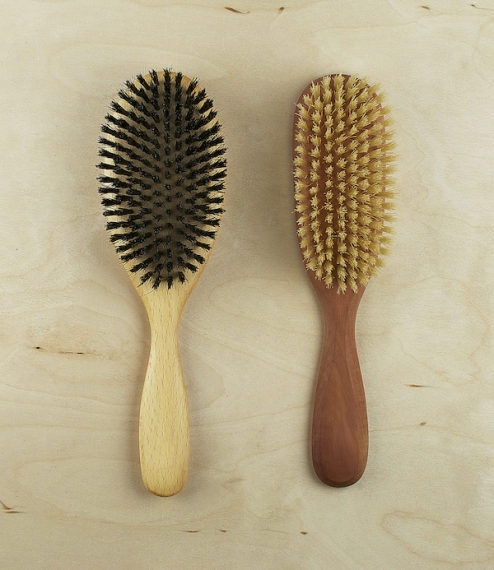 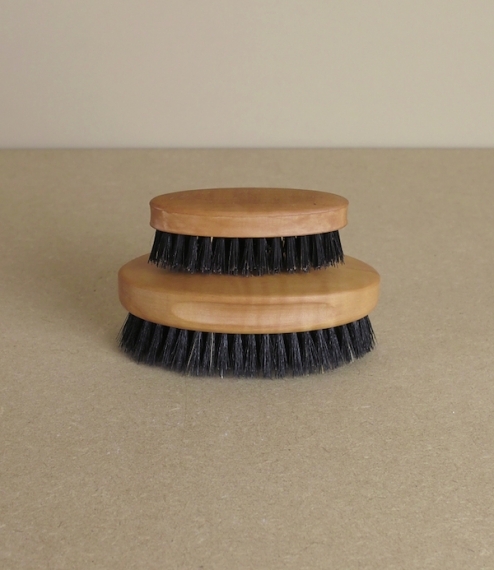 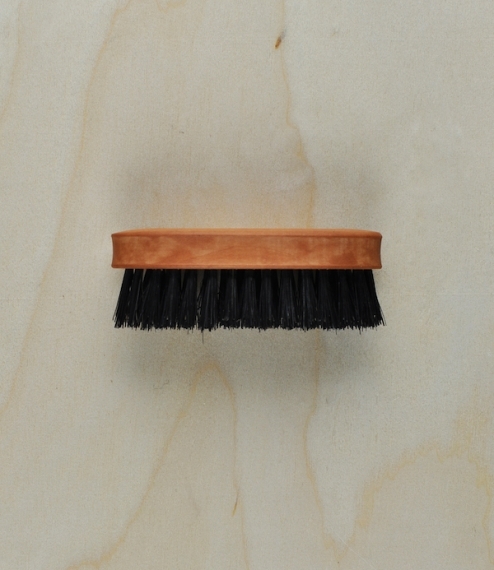 Two gentlemen’s brushes made of pear-wood and moderately stiff black wild-pig bristle. 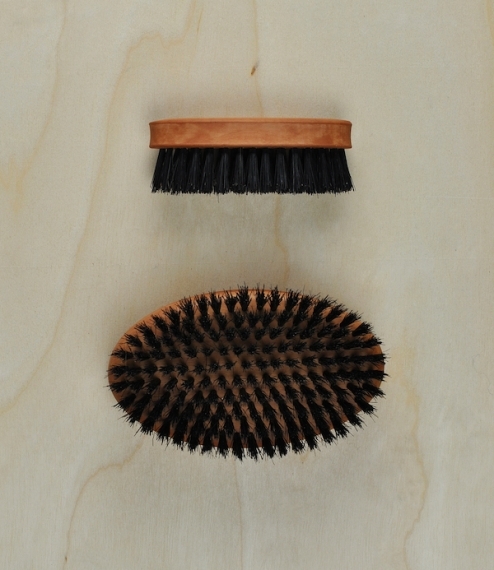 The larger is an oval handleless hairbrush for the shaping and styling of shorter styles, whilst the smaller lozenge shaped brush is specifically a beard brush for the tidying, styling, and crumb-dusting of beards or moustaches. 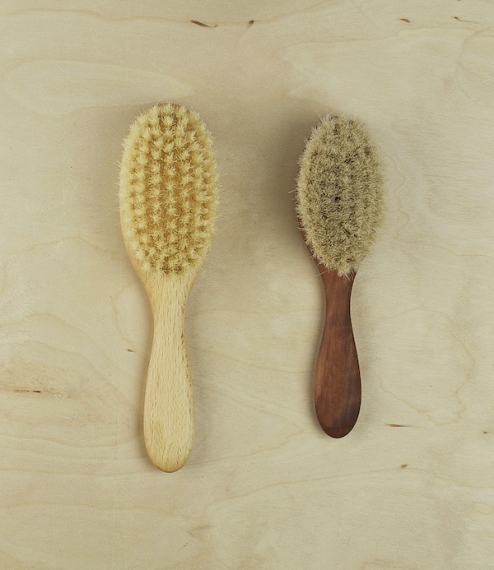 Both are made in Germany by a small but long established company of brush-makers, who specialise in natural materials and handmade brushes. 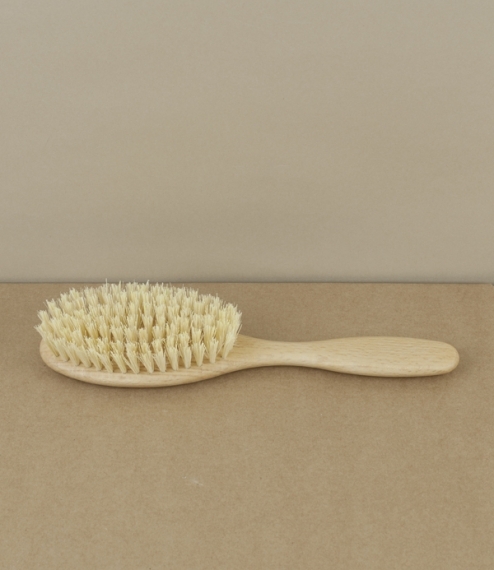 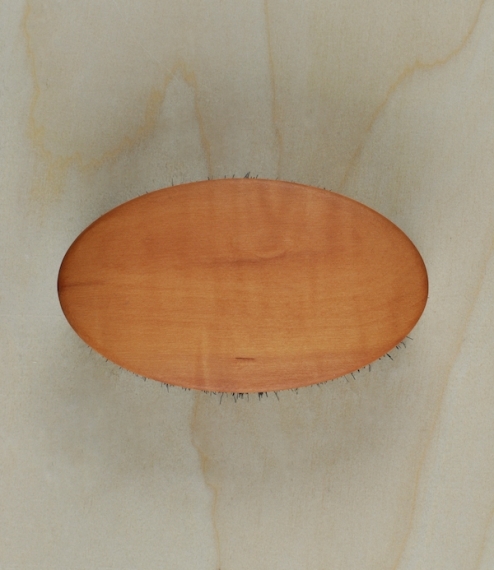 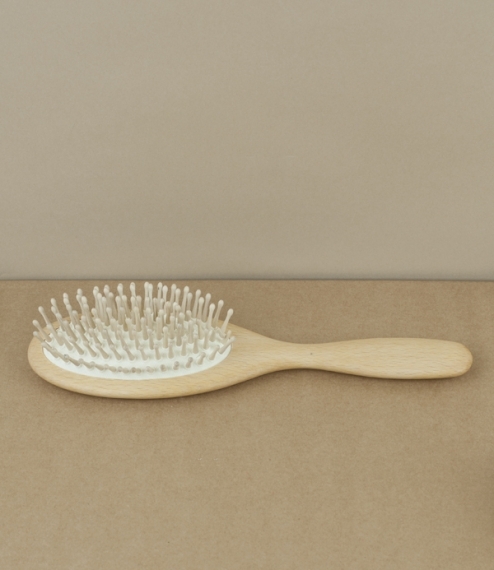 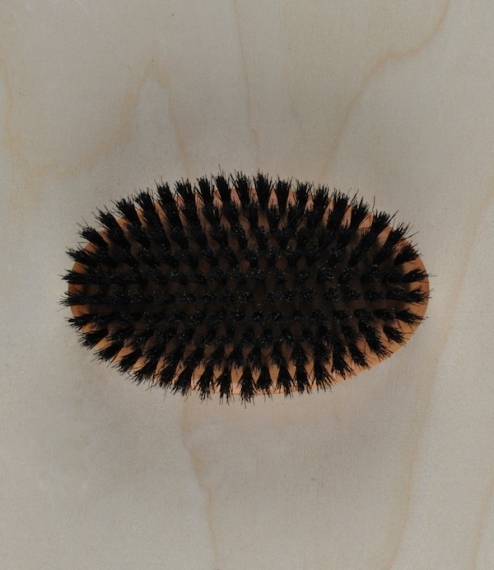 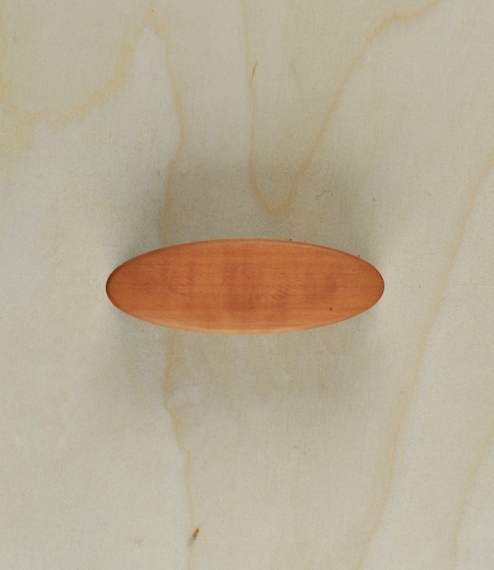 The hairbrush measures about 6.5cm x 11.5cm; the beard brush a little over 8cm x 3cm.